This selection features books on weird sporting events, mountain climbing, camping, running, soccer scandals through to biographies of sporting personalities. The armchair athlete will find inspiring reading in these fascinating accounts. The World’s 100 Weirdest Sporting Events : from gravy wrestling in Lancashire to wife carrying in Finland / Geoff Tibballs. Red Card : how the U.S. blew the whistle on the world’s biggest sports scandal / Ken Bensinger. Bruce Lee : a life / Matthew Polly. “The first noteworthy treatment of its subject–and a definitive one at that…Fascinating narrative threads proliferate.” — (The New York Times Book Review). To the Mountains : a selection of New Zealand alpine writing / selected by Laurence Fearnley & Paul Hersey. Camping with Kids : hundreds of fun things to do in the great outdoors / Simon McGrath. The Competitive Runner’s Handbook : the bestselling guide to running 5Ks through marathons / Bob Glover and Shelley-lynn Florence Glover. 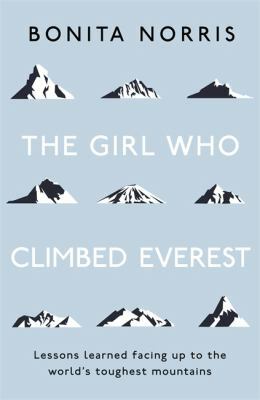 The Girl who Climbed Everest / Bonita Norris. The official history of the FIFA World Cup / FIFA World Football Museum. North : Finding my way while running the Appalachian Trail / Scott Jurek with Jenny Jurek.